Rupert Pupkin Speaks: Underrated Film Series - Drama ""
It seemed to me a very natural progression to follow my underrated comedies series with underrated dramas. Then I started thinking about films that are pure dramas and it became kinda tricky. Many of the dramatic films I like often have a decent amount of comedy. The two do have a very chocolate/peanut butter relationship. Anyway, with the list below I did my best to keep things in the straightest possible drama vein, but some other things slipped in. Please forgive me, but I hope you enjoy my selections nonetheless! P.S. 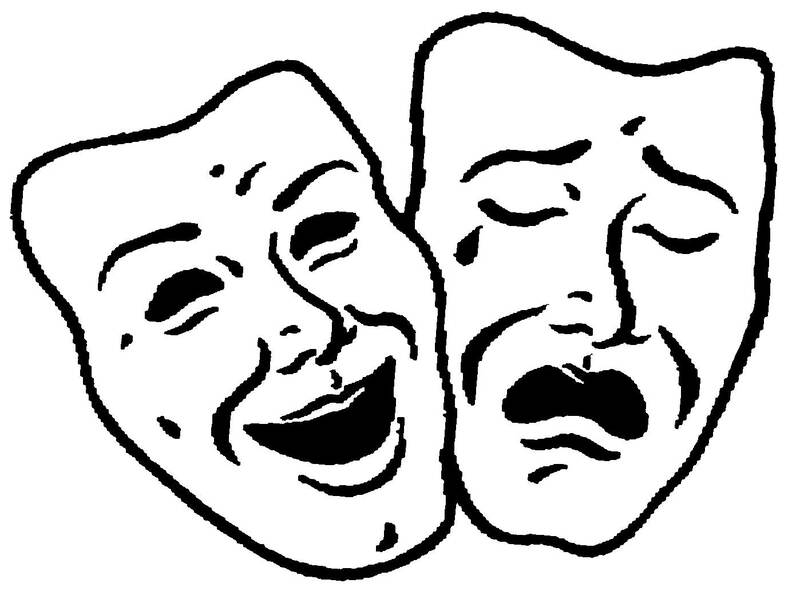 - have a peek at my underrated comedies lists if you missed them! Though BIRDY(see below) may be my favorite Alan Parker film, this is a close runner-up. The movie is a rather devastating account of the dissolve of a 15 year marriage and the toll it takes on the couple(Albert Finney & Diane Keaton) and their children. One of the most powerful closing shots I've seen in a film in some time. Written by Bo Goldman who also scribed MELVIN AND HOWARD(also see below). This is one of those movies that has taken on greater poignancy as I've gotten older. When I first saw it, I was drawn in by the salacious behavior of the teenagers in the film. I used to describe it to people as " the KIDS of the 1970s". Upon rewatching recently, the two films couldn't be more different to me. 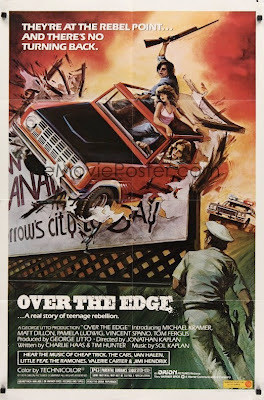 OVER THE EDGE has something about it that makes it really potent and memorable. Some undercurrent of loneliness and melancholy that truly speaks to the me of my high school years and even to the me of today. Very impactful and gets better with each viewing. I've heard Cameron Crowe is a fan as well. Saw this movie for the first time some years ago on the back half of a double feature with the also excellent CISCO PIKE(which almost made this list as well). It kind of blew me away. 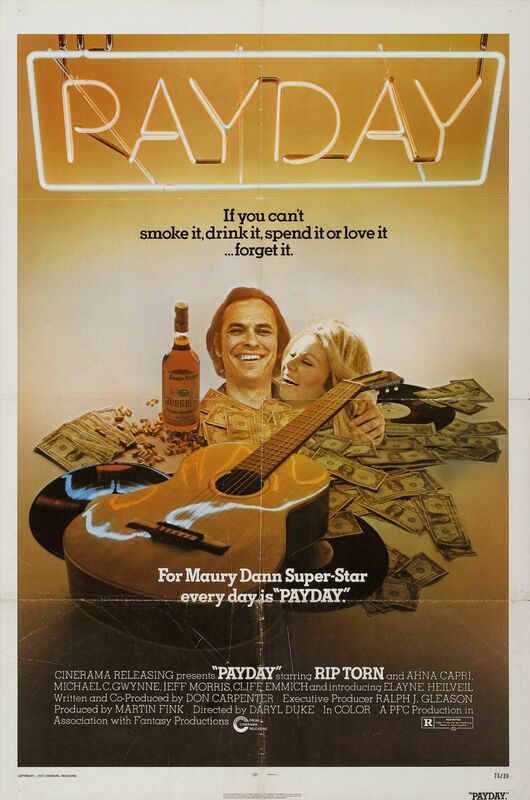 It's basically the story of a somewhat successful country western singer played remarkably Rip Torn. I was used to the Rip Torn of Larry Sanders and DEFENDING YOUR LIFE. Had no idea he was capable of a character like this. A veritable sociapath, out-of-control egomaniac. The film follows him on tour for a few days and it is something of a wild ride. The tagline is "If you can't smoke it, drink it, spend it or love it....forget it". 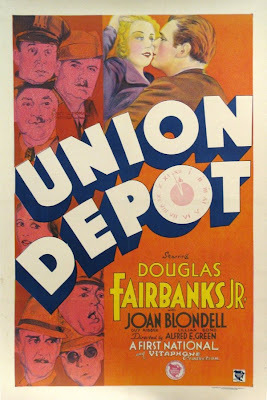 One of my favorite 30s romances, as well as one of my favorite films in general. William Powell plays a convicted murderer facing execution. 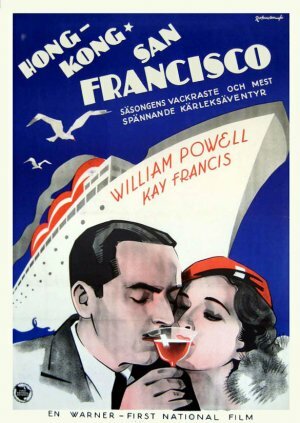 Kay Frances is a dying woman who meets him on a trans-Pacific cruise. They fall in love. Simple and elegant. 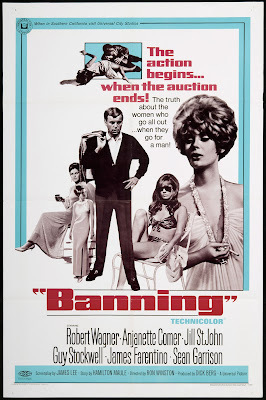 Romantic drama set in San Francisco during the Vietnam War, approximately 1963-1966. 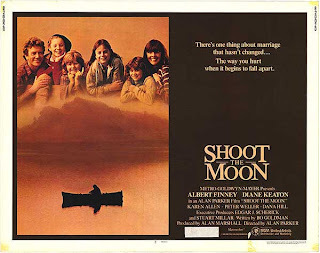 What's starts as a cruel game with his fellow Marines becomes more than that for Coporal Eddie Birdlace(River Phoenix). The soldiers set out to have what they call a "dogfight" which consists of them picking up the ugliest girl they can find and bringing them to a party to be judged as the worst looking gal there(making their date the winner). Eddie picks up Rose(Lili Taylor), a charming coffee shop waitress, almost by accident and ends up bringing her to the dogfight. Despite this, they are able to spend a rather lovely night together after the crappy party and seem to genuinely connect. This would make a nice double with BEFORE SUNRISE I think and being that it's sequel has just recently hit theaters, now would be the perfect time for it to be rediscovered. 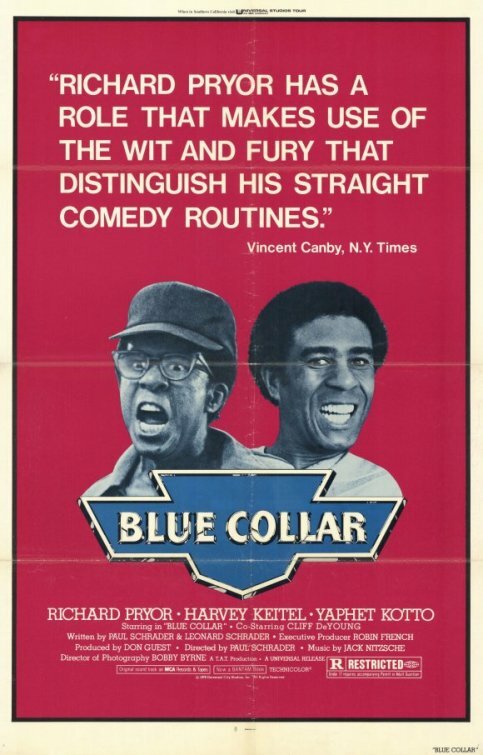 Three auto workers(Richard Pryor, Harvey Keitel & Yaphet Kotto) struggle with their finances, their bosses and their union. Probably my favorite Paul Schrader film. I named my production company in college 'Flik My Bik' Productions after one of Richard Pryor's best lines. 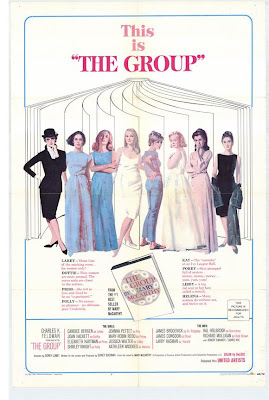 From Letterboxd: "Sidney Lumet's adaptation of the acclaimed Mary McCarthy novel follows the experiences and struggles of eight friends following their graduation from a New England all-women's college in the 1930s." Just a fun epic soap opera favorite of mine. One of the earliest "interconnected lives" pictures I can think of. Many travelers of all types and backgrounds cross paths one evening in a metropolitan train station. 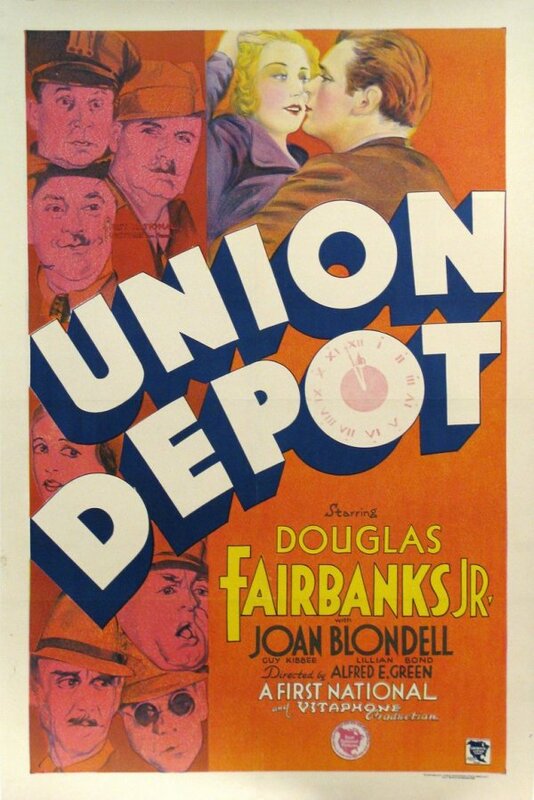 Players include Douglas Fairbanks Jr., Joan Blondell, Guy Kibbee and Alan Hale. Just a great little film. I couldn't be more pleased to be working my way back through Michael Curtiz's filmography and finding more little gems in there like this one. Perhaps my favorite role for the under-appreciated Richard Barthelmess. 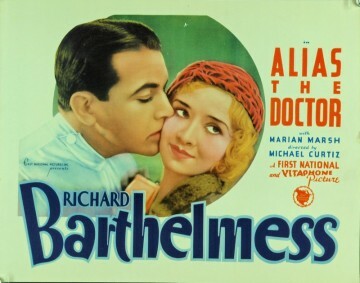 Wonderful medical melodrama. I don't want to say more, just see it. It's like STELLA DALLAS for dudes. Sort of. Also - An unofficial part of Warner Archive's "Forbidden Hollywood" series. Discovered this one via Danny Peary's Cult Movies 3, but never saw the whole thing until just a few years ago. Another shipboard romance movie, but considerably different than ONE WAY PASSAGE. One of my favorite Bette Davis roles(might be my favorite) and great stuff from Paul Henreid. Wellman is a veritable titan of pre-code films and this is, for my money, probably his best. It's certainly one of my darlings. And speaking of darlings - part of the reason this movie is so good is because of the ridiculously fetching Dorothy Mackaill. Seeing her for the first time in this really blew me away. She has that "it" factor that so many of the more well-known actresses of this period had and yet, she never really took off. This is the best thing she's done that I know of and she just pops off the screen in a big way. She's almost 3D she's so vibrant. She must be seen. From IMDB: "Rick is in his 30s, but still works full-time as a lifeguard on the beaches of Los Angeles in California. He enjoys the fun of it, but even more the silent moments. However when he meets his divorced highschool girlfriend and her 5 years old son at their 15 years class reunion, he considers switching to a more "serious" job." Sam Eillot plays Rick the lifeguard and it's a stellar dramatic turn for him. His personality seems perfectly suited to this character in a lot of ways. And Anne Archer is, too put it mildy, "rrrrooooowwwwwrr". I really have to believe the Coen Brothers saw this film at some point. I mean, it's not like Sam Elliot's character here is like 'The Dude', but he certainly is a dude and one who's a man with some similarities to El Duderino(if you're not into the whole brevity thing). This was one of the earliest titles that Warner Archive put out on MOD DVD and one that truly got me excited about what they were doing. CARNY is quite the epitome of an underrated movie. Gary Busey and Robbie Robertson(who has a story credit on the movie) play Frankie and Patch, two guys who work for a traveling carnival. Their main gig is the dunk tank and they take great pride in riling folks up whilst they attempt to dump them in the drink. Enter 18 year Donna(Jodie Foster). Bored with her waitressing job, she joins the carnival and complicates things between Frankie and Patch. This movie has a wonderful tone. It's dramatic, but with a gritty edge to it that makes it feel somewhat unpredictable. 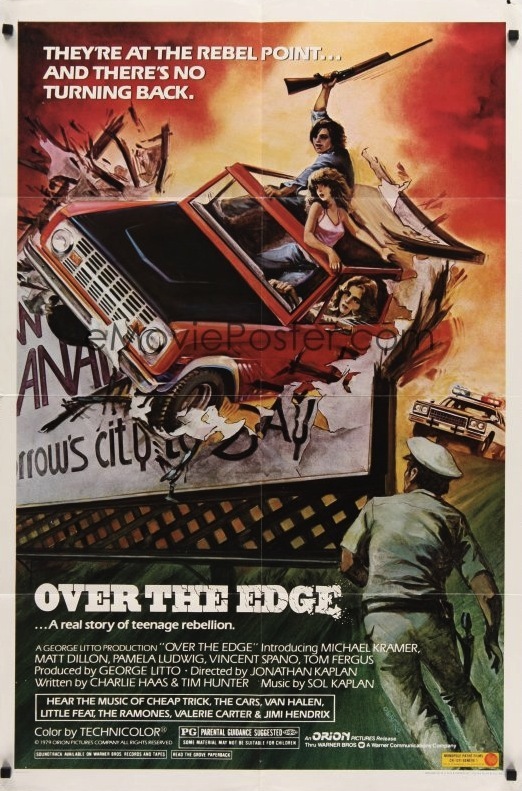 And it's another one of those films with a supporting cast of heavyweight character actors such as Kenneth McMillan, Elisha Cook Jr., Meg Foster, Tim Thomerson and Bill McKinney. 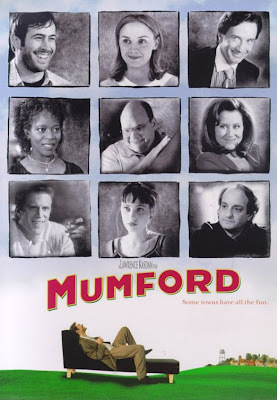 This is more of a dramedy I suppose, but it has really virtually disappeared of people's radars in the 14 years since its initial release and I find that to be a shame. We've seen other directors attempt to evoke Frank Capra in recent years, but few succeed to do so in the way this film does. The remarkably charismatic Loren Dean(who I'd have thought would be a bigger star by now) plays the titular Mumford, a mysterious man who moves into a small town and sets up shop as a psychologist. Yet another case of "what a supporting cast!". Frankly, I think it's the last great film Lawrence Kasdan made and one of his standouts since his prime in the 1980s. I really do hope he has a few more like this in him. An interesting companion piece to DOUBLE INDEMNITY. The two films are nothing like each other, but it fascinates me to see both Stanwyck and MacMurray together again more than a decade later. 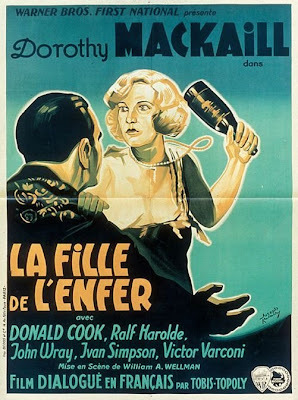 MacMurray plays a married, but unhappy toy manufacturer who happens upon an old flame(Stanwyck) out of the blue and it complicates his uncomplicated existence. I am a big Sirk lover and this one is up there among his best work as far as I'm concerned. Seek it out. Robert Mitchum is probably my favorite actor of all time. He had a long and varied career and it's always outstanding to find another winner from him. This particular film was very difficult to see until just a year or so ago when it aired on TCM and soon after, hit dvd via Warner Archive. 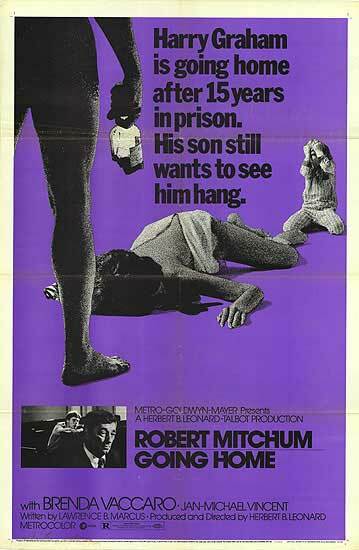 It's not the easiest watch as it deals with an estranged son(Jan-Michael Vincent) reuniting with his father(Mitchum) after he's spent 15 years in jail (he killed his mother when he was Vincent's character was very young). It's just hard for me to see Mitchum play this kind of relatively unsympathetic character. 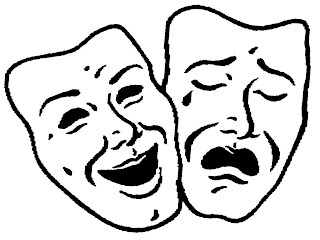 It truly is a showcase for him though and he shows some of his best acting I've seen. Tough stuff, but compelling. This one stuck with me for days after. One of the great buddy-dramas of all-time. It's the story of two drifters who come across each other one day and eventually end up traveling together. They are: Max(Gene Hackman) and Francis(Al Pacino). Max has dreams of opening his own car wash while Francis is just trying to get home to see his wife and son(that he's never met). 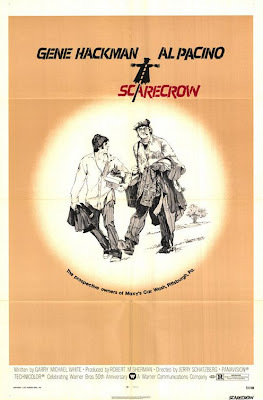 Think of it as a much darker SULLIVAN'S TRAVELS in the 70s, without the Hollywood backdrop and with two men as the main characters. Ok, that's not 100% on the mark, but it grabbed your interest right? Hackman and Pacino are just outstanding in this. I love 70s Pacino, before he "Hoooowaaaa"'d out and became a different guy. He's much more subtle here. Soulful. And his character is rather childlike so there's an extra earnestness and innocence to him. If you like him here, see him in Schatzberg's PANIC IN NEEDLE PARK as well(which came out two year prior). I have been kind of obsessed with this one since I saw it for the 1st time last year. I call it a "Golf Noir" and it's one of the few examples of this subgenre I can think of. Robert Wagner plays Banning, a down of his luck, disgraced golf pro who was kicked off the circuit for allegedly cheating. He's been forced into a life of hustling basically. He migrates from country club to country club and uses his golfing prowess to make money and score ladies. Part of the reason for his nomadic existence due to the fact that he's being pursued by a loan shark to whom he owes much dinero. Sadly this film only ever made it to VHS and is not looking great for any sort of dvd release that I'm aware of. It can be found on Youtube in parts - Here, but unfortunately not in it's original Techniscope(2.35 : 1) aspect ratio. Hopefully Universal will dig this one out of their vaults and at least put out an MOD for us at some point. It really is a low-level cult favorite in the making. I think it's sort of a campy, hard-boiled CADDYSHACK. When I started trying to compile a list, it wasn't comedies but action/adventure films that wanted to seep in. I'm the biggest Elizabeth Hartman fan there is, but can't get into The Group - check out Patch of Blue; that's a great film of hers. I came close to putting Payday on my list! Glad I saw yours first. It's one hell of a movie. I learned about it from Reel Distraction when he showed it at BTSNAT. Fascinating list. 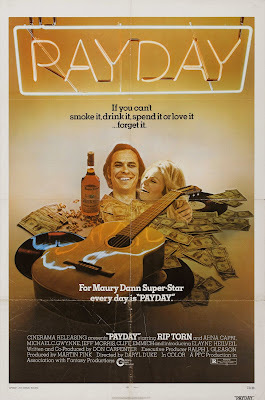 Never heard of PAYDAY before but I do dig Rip Torn so I may just have to check this one out! 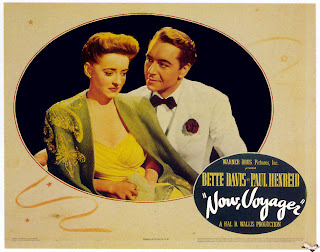 Just watched Now, Voyager for the first time recently and it blew me away. 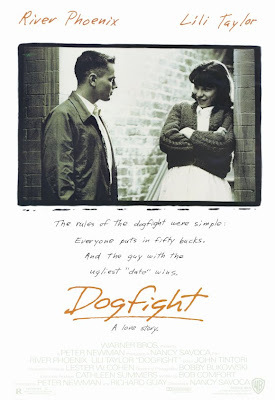 I will never understand why Dogfight is rarely mentioned when discussing River Phoenix. It is one of my favorite films about the period, and the last few scenes always bring a tear to my eye. Many great ones here and mutual favorites. I'm glad to see SHOOT THE MOON still ranks so highly for you. Great blasts from the past...thanks for reminding me of Scarecrow and Payday...very worthwhile. I remember seeing MUMFORD on it's original theatrical release in a (nearly empty) theater. Never could understand why it flopped. A charming little slice of life film.